Cruisers are some of the most comfortable bikes to ride. Their comfort is accredited to it's laid-back style frame, sit-up straight riding position and relaxed shoulder level arm height. 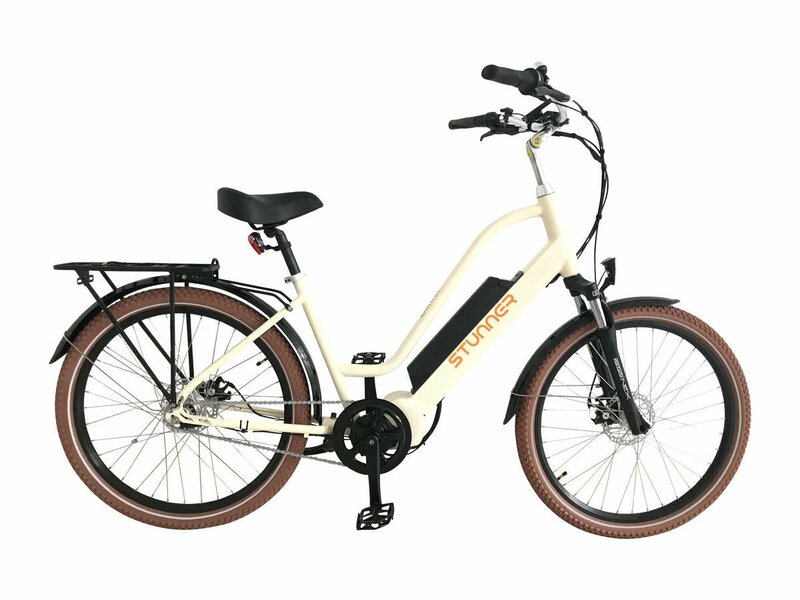 We take this already comfortable ride to the next level with our electric cruiser, the Stunner. With an incredible range of more than 60 km (37+ miles) on a single charge, the Stunner will get you where you need to be and more. 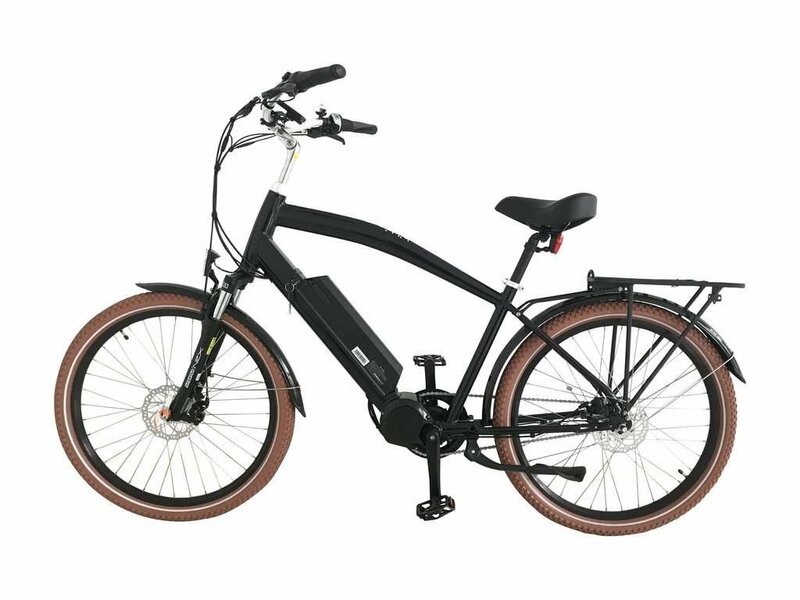 The 750W (can be programmed to 500W) mid-motor has got more umph than most electric bikes in the market today, providing a quick, yet comfortable, and enjoyable riding experience. Manual: please click this link. High-step or Step-over frame brings the classic cruiser style to the most comfortable riding position. This version of Stunner is very popular among men and women who don't mind swinging their leg over the seat to hop on and off the bike. Low-step or Step-through frame is easy to step in and out of. This version of the Stunner is very popular among men and women who don't want to swing their leg up and above the rear rack and seat to hop on and off the bike. We can ship our bikes worldwide. The shipping rates vary from $350-$600 based on where you are located. Please email us at ride@biktrix.com for exact shipping rate. How many 91 year olds ride 400+ km per month? Henry Gilbertson from Saskatoon thinks every senior should! Bike assembly is so simple, it's almost like it assembles itself. The video that launched Biktrix Stunner back in 2015.